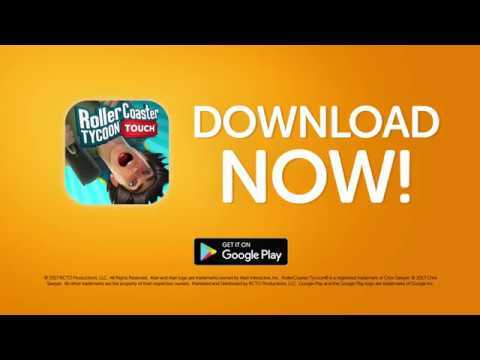 RollerCoaster Tycoon Touch - Build your Theme Park - Play the best theme park builder game! Creating, customizing and sharing your coolest park creations in beautiful 3D graphics has never been this fun or easy. Discover over 250 attractions including rides, roller coasters, restaurants, shops, decorations and more to build your pocket dream park. Complete fun missions every day and weekly challenges to obtain rewards to improve your park, keep your peeps happy and make more money! The innovative, touch-control roller coaster builder allows you to effortlessly draw crazy and unique roller coasters. Personalize your park, express your creativity, pick your layout, customize colors on all your attractions, and take pictures to share with your friends. Your pocket dream park awaits!